Wrestling certificate templates enable you to recognize the wrestlers on your team with stylish and fun certificate designs very quickly. You may decide to award these certificates at the end of the season, while some coaches may choose to award them throughout the year. 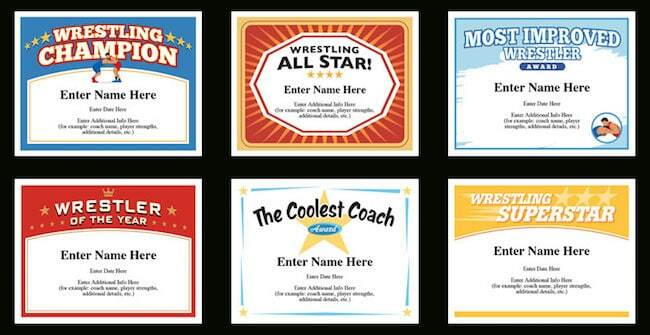 You may elect to award the same certificate to all wrestlers or pick and choose.